I'm an alliteration addict so when Starfish Events contacted me to help promote their upcoming Spring Swap Shop, I was intrigued by the name alone. 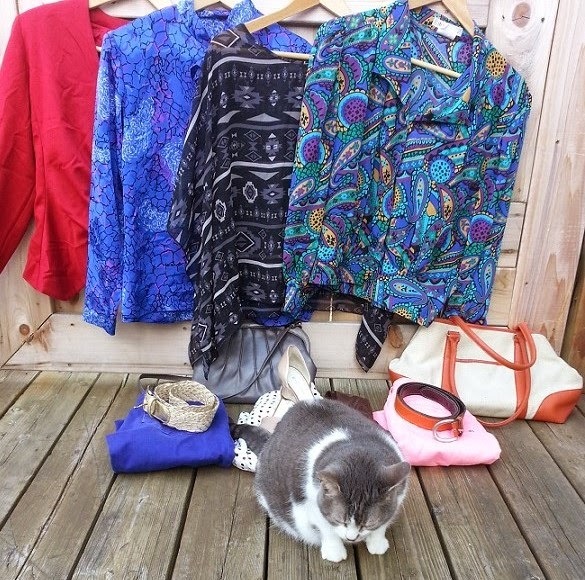 I was a stylist at the event last year and had a blast helping shoppers swap in style! I'm a fan of clothing swaps because they're a sustainable way to add new pieces to your wardrobe, while purging your closet. I've hosted my own clothing swap for friends and what I like about Starfish' event is that for only $10, attendees have access to fashionable items while sipping on bubbly and nibbling on hors d'oeuvres in a vibrant setting. 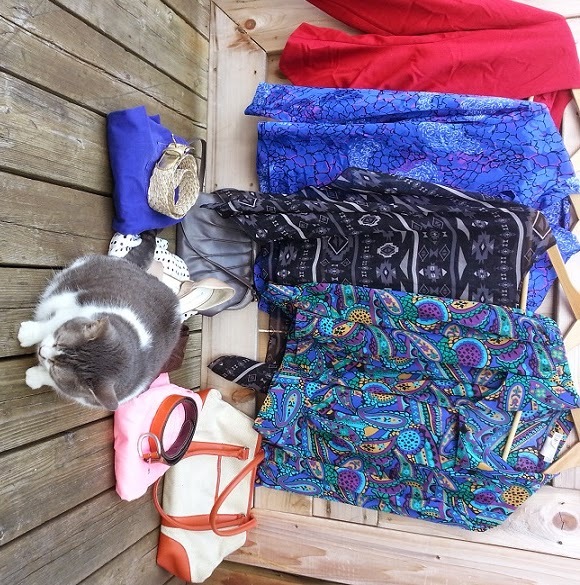 Leftover female items will be donated to Youville Centre & male items to Suits his Style (a non-profit I helped to found). 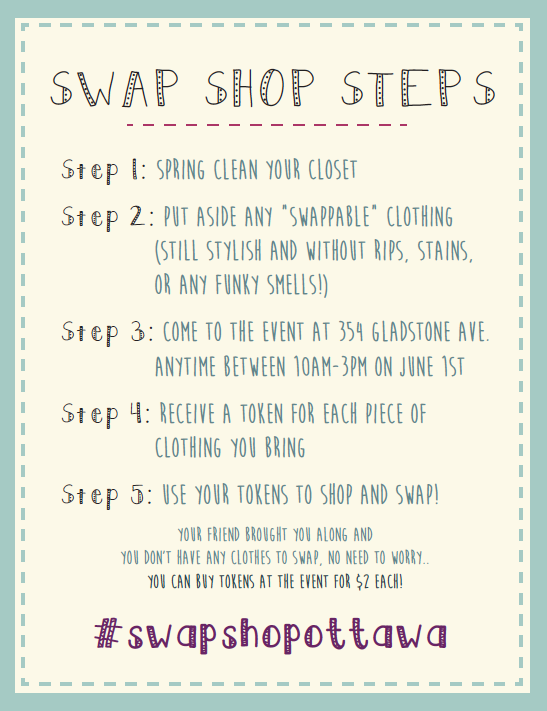 The more you swap, the more you can shop (one item donated= one item to take home) so be sure to start cleaning out your closet. 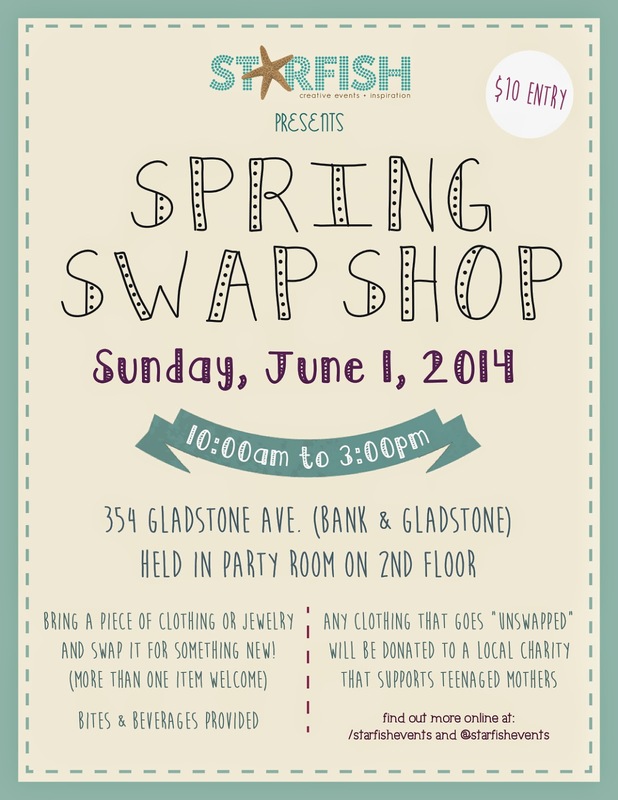 Bring the items you want to swap with you to the event (if you have a lot of pieces, try to arrive by 9:30am.) Don't have clothing to swap? You can buy tokens (one token=one item) for $2 each (plus the $10 entry fee). Sound like fun? Check out the Facebook page for more details! Remember that one woman's faded & outdated is another woman's sleek & chic! sound like it will be a fun event.